I’ve had extensions now for almost a year, give or take a few months while I was pregnant and wanted to be super lazy. Not to mention it was hotter than hades and I needed a break. But I am so obsessed with them and not sure I’ll ever want to be without them. Unless of course my hair magically decides to grow a crap ton and I don’t need them anymore. But even then, the volume is amazing and I love having this much hair! But extensions or not, blow drying your hair can be a tedious task. Like it’s a serious commitment to sit down and dry your mane sometimes. 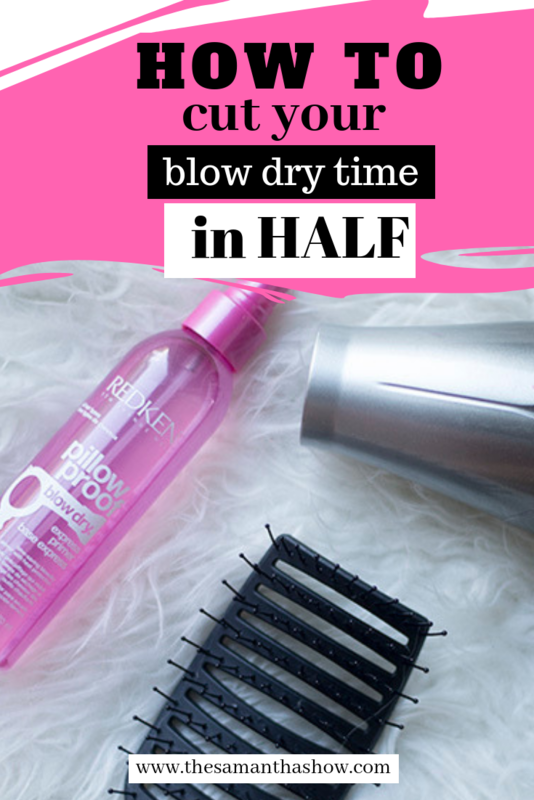 But over the years and even most recently, I’ve found a few must haves to cut your blow dry time in half. 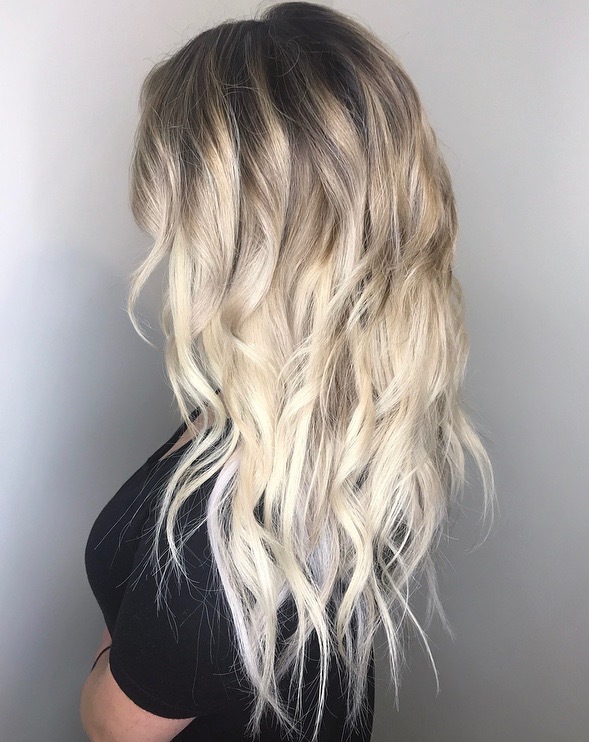 Redken Pillow Proof Blow Dry Express: This stuff is my ride or die. I’ve been using it for a few years and when I run out and have to do without it, I can tell a serious difference. Spray this one your hair while damp and before drying. 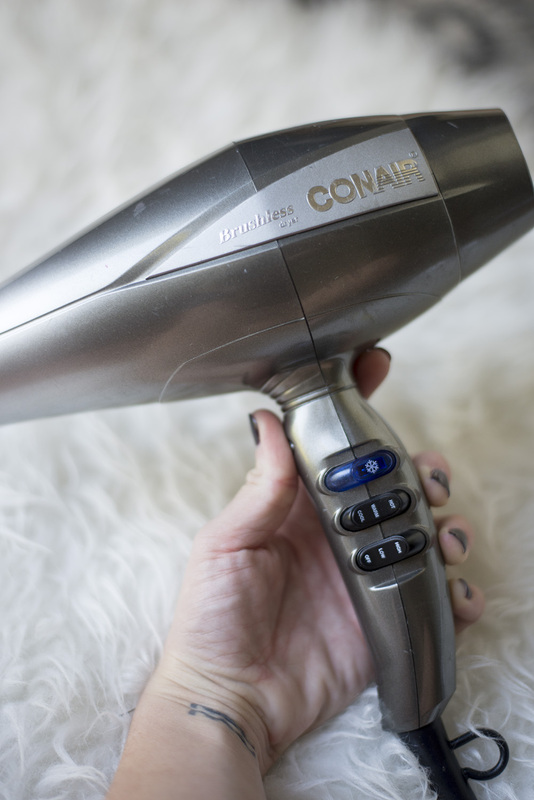 Conair Hair Dryer: I’ve had this dryer for 3 or 4 years now and it’s still my favorite. I’ve tried other, much more expensive hair dryers and they haven’t impressed me. This one is brushless and is said to cut drying time by 70%. It also helps reduce frizz which I tend to have a lot of. Wet Brush: I always use a wet brush with my extensions because it’s better for them (less pull on the hair). But my hair stylist suggested this brush for a quicker dry and she was right! It has something to do with the vented design to allow for faster drying. A must have! Okay next let’s discuss technique. First, towel dry your hair. Next, spray in the Redken Pillow Proof Blow Dry Express. Use vented Wet Brush to brush product evenly. I’m not one to split up my hair in sections to dry because that’s just not what I’ve done and it’s hard to teach an old dog new tricks. But totally up to you; that’s how my stylist does it so I’m assuming it dries quicker if you separate into sections. 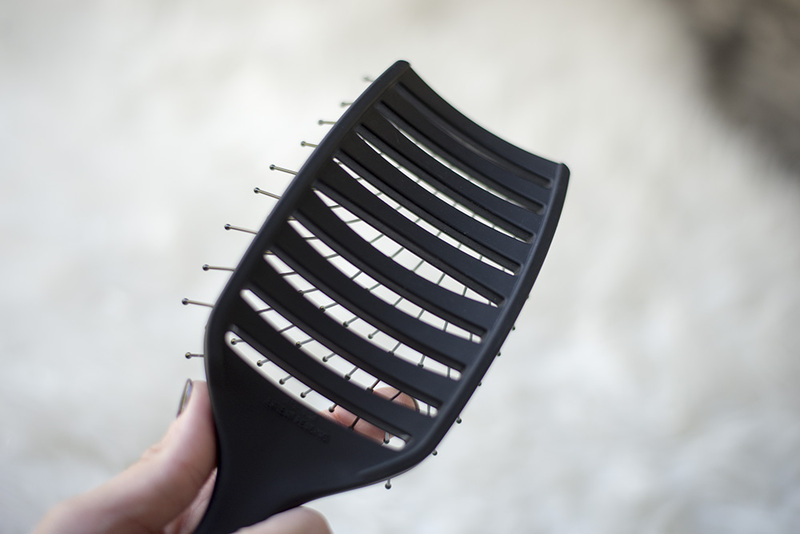 Using your vented wet brush, brush your hair and hover blow dryer over brush while pulling your hair from crown down. Repeat all over until completely dry! 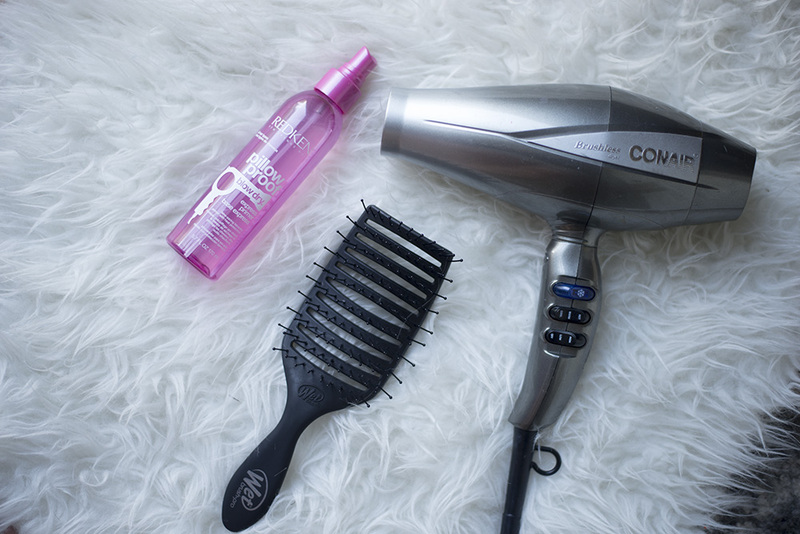 These products have been a lifesaver and totally cut my blow dry time in half.And this mama can take all the extra time I can get! I have a similar speed up blow dry spray that I use from EVA NYC. I hate being without it because it takes me 45 minutes to dry my hair instead of 20! Great tips, I need to check out that brush too! I need to try this. It takes me forever to blow dry my hair!! Love these tips! Having extensions has created more time to dry my hair haha! I need to try that pillow proof spray!Thanks for the tips! OMG these are such good tips! I need to try this product and brush. I hate how long it takes me to dry my hair. These are awesome tips babe! Definitely need to try these out, Yes to anything that saves time! Wow! I think I need to invest in that brush! I LOVE my wet brush but my hair takes forever and a day to dry . Thanks for sharing your tips! I don’t blow dry my hair but if I did, I would absolutely be grabbing this. Sounds amazing! Love these tips! I stopped blow drying my hair because it took too much time, I will have to try your technique!